Film Festival / Individual Sessions / Saturday Group Sessions / Diving Into Bliss Thursdays / Volunteer Trainings / Autumn Salon / Healing HeArts / Year-End Celebration! 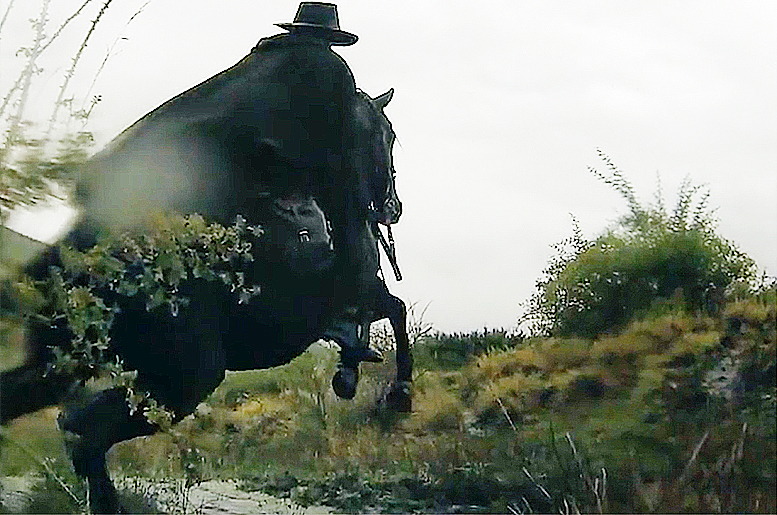 Journey by horseback into the heart of the Andes with three blind riders. There is more to seeing than sight. Riders chart a route of inner exploration where blindness leads to clarity and adversity creates possibility. documents the first mule ever to compete at the national level in dressage. This underdog story follows Dyna and her owner, Laura, as they defy odds to find their place among this elite world of horse riding. CLICK HERE TO READ DETAILS ABOUT VOLUNTEERING. This is also where you can sign up to work at individual and group sessions, once you have attended volunteer training. 2019 Individual Sessions are conducted in April, May and September. Tuesdays or Wednesdays in the afternoons, usually. Tuesdays or Wednesdays, afternoons or mornings, according to weather temperatures. Tuesdays or Wednesdays in the mornings. All individual sessions meet 4 weeks in the afternoons (Tuesdays or Wednesdays) at either 1:30 pm or 3:00 pm, lasting 1hr 15 minutes. September sessions meet in the mornings, either 8:30 am or 10:00 am. More details on individual sessions HERE. TO REGISTER/INQUIRE ABOUT INDIVIDUAL SESSIONS: Call Trish Broersma 541 482 6210. More about group sessions and individual sessions HERE. 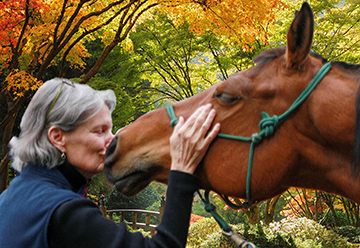 For anyone interested in personally experiencing how horses can open new doors to the future. Group sessions meet on Saturdays. Donation requested. Location: Bella Menagerie, 150 Myer Creek Rd, Ashland, OR. 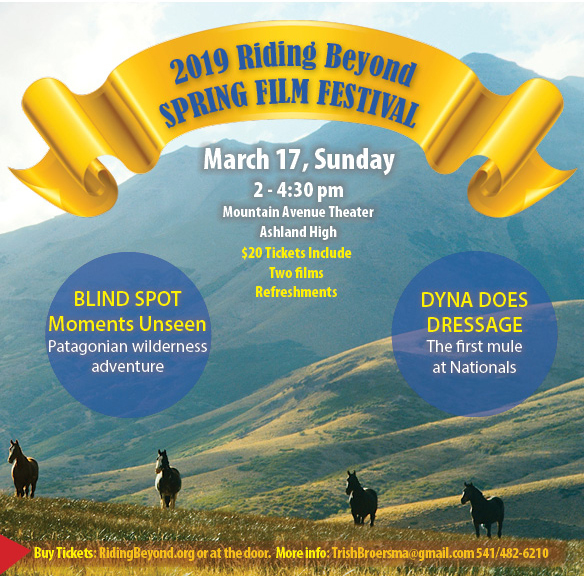 Riding Beyond half-day sessions are designed for anyone interested in personally experiencing how horses can open new doors to the future, including friends, family, medical professionals, and all cancer survivors. All participants, supporters, volunteers and staff: plus a few horses. All celebrating the gifts of Riding Beyond 2019. Food, horses, friends. 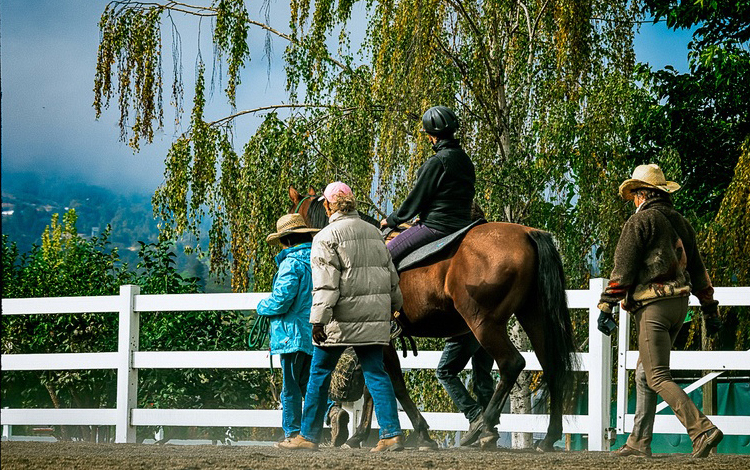 Riding Beyond sessions are conducted in spring, summer, and fall. Organizational meetings occur throughout the year. Please contact us if you’d like to volunteer or participate.